My youngest child, Missy Moo is turning two years old this summer. She is my last baby and therefore the last of each stage in a baby’s young life. When she learned to walk, I cried. Yes, of happy tears but a little sadness that I will never teach another baby to walk again, there will be no crawling and rolling over stages in this house again. Here we are at the next step for my baby, a big girl bed! That means no more cribs in this house. We will all have normal beds and our rooms can be decorated accordingly. We will be saying goodbye to the nursery set that Buba had and grew out of and that Missy Moo is now growing out of too. It will be hard to sell something so precious but we don’t have room to store it for no reason other than sentimental value. It was good to us for four solid years and hopefully someone will want it and love it as much as we did. She most likely will get Buba’s big kid bed as we are getting him a cabin bed to suit his room with it’s funky shape and size. What worries me the most with Missy Moo is that she rolls around and tosses so much in her crib now she will definitely have to have a sturdy bed rail. Bed rails are so easy to attach and will give me that peace of mind that she is safe when she is away dreaming of fluffy stuffed animals instead of going bump in the night. They are never expensive either so I say why not make it safe for them. They come in so many colors too which is great so you can match it to your room theme if you like. Is your little one about to go into a big kid bed? 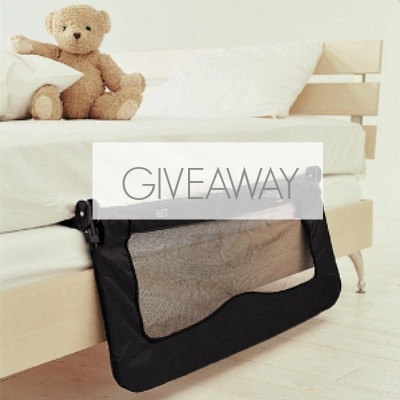 If so, you are in luck I am hosting a great giveaway for one lucky reader to WIN a bed rail from Safetots! ENTER BELOW! UK residents only! Ahhh how exciting. Love that they are the same age. Only a month apart. Can’t wait to see it. Elma just went into Kitty’s toddler bed and we’re definitely still in the stage of listening for a bump in the night – she’s only a few inches off the floor though so she just rolls back into bed! Oh that’s handy to have it not far off the ground. We still haven’t decided if we are just going to put her in a bed kid bed a normal single and skip the toddler bed or smaller steps. She doesn’t mind her crib still either as she is still in her sleeping bag. Lol decisions decisions. It’s definitely an emotional thing, and a real admission of them growing up which I a, so not ready for him to do! Ahh yes they are similar age and I love that they are always moving on together. Lol he will be great at it. Buba didn’t bat an eyelid. Well I thought my baby days were gone but now I’m a step nan!! This is perfect when we have the little one. I wold love this for my nephew. He’s 2 and a half and has a B12 deficiency making him a little slower at growing than others of his age. He has outgrown his tiny cot bed now and my sister is already looking for one of these. My son is nearly 5 and still topples out of bed poor boy! 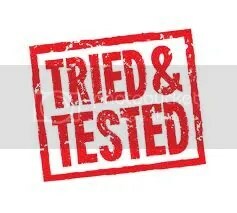 His Sister I espect will be the same so I’d love to try this as our last bed guard was not ‘Adam proof’ and broke! My toddler is turning 2 in June but at the moment is still happily in her cot with the sides on, though when new baby arrives in a few weeks I envisage her wanting to get out a bit more! Perfect, we’re about to take the sides off our son’s cot bed. These are such a great idea! We never had one with our daughter. If I’m honest, we kept her cotbed rails up for longer than she needed as we were terrified she’d fall out (even if the bed is about 30cm from the floor!!). This is definitely something we’ll be using with our son when he’s old enough. My daughter is almost 2 so this would be perfect for her! Great Contraption, will be needing one of these soon, dont think the cot will be escape proof much longer but the little man wiggles like good un during the night! thank you for a giveaway, what a great prize! We’ve been talking about transitioning my daughter into a “big girl bed” so this would be great to win. I’ve never used bed rails with our little ones but I can totally see their purpose! Fab giveaway, little mans moving into his big boy bed soon. so looking forward to her enjoying the comfort of a big bed. were not quite at that stage yet, i feel excited about re-doing his room and him growing up, but a bit sad too about this growing up thing! My baby is already long gone. fantastic, provides so much piece of mind. We’re staying in a caravan soon and this would be great as the beds are so narrow I’m sure my little one is going to roll right off! this would be awesome as a pressie for my bro, whose daughter is into everything at the moment! I really need one of these for Emily. Almost at the stage where our son will be having the bars taken off his cot, so will be needing a bed guard. My son’s having his first bed next month so this would be great for him. Would be great for the little one! This would be great for my toddler. we are soon going to move our son into his bed, this would be ideal. It would be lovely to have this for when my daughter starts walking! Great for my gradaughter. Fingers crossed.